We are excited to introduce our new after-school Pre-Professional Academy Program for 2019-20! Each Academy Program provides full training to ensure that students reach their potential, whether that goal is acceptance into a professional ballet company school or simply to advance furthest in their training. The Academy Programs begin at Ballet 1 to provide pre-professional training for students with potential for Canada’s National Ballet School, Royal Winnipeg Ballet School and other company-affiliated professional training schools. Students in Junior and Senior Academy are enrolled in special Master Class with Mr. Carney to monitor their progress towards the Pre-Professional Academy when students reach Ballet 7-10. 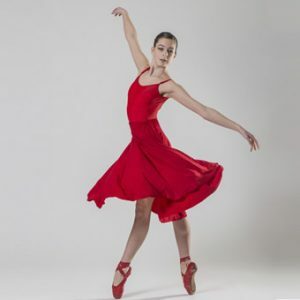 The Pre-Professional Academy for Ballet levels 7-10 prepares students for professional dance careers with training by former professional classical ballet dancers. Students are assisted with preparations to audition for ballet company schools. Since establishing the PPA program in 2011, much has changed at our school. Our students have progressively increased their technique and skills much earlier each year; our classes are producing stronger and more advanced students year upon year. When we first opened, students averaged 1.2 hours of class per week. In recent years, that number increased to over 4 hours per week. Previously, a 7-year-old might take one Ballet class each week; now they take two Ballet, as well as Conditioning, Jazz, and National Dance. Others cross over into our Musical Theatre School with even more training hours. For many students now, our training has become their primary activity. With an increasing number of students being accepted each year into ballet company schools, one of the main goals for our school, the focus of students even at the younger ages is often on the possibility of future Pre-Professional training. And as our classes concentrate on training and performance, rather than exam preparation or competition entries, our students can progress rapidly with each class hour. In 2011, it was necessary to enhance the existing training with many hours of extra class in the half-day PPA program. This required students to coordinate half-day academics at their schools. While many academic schools managed this partnership effectively, it nonetheless added an extra challenge to our students and their families. 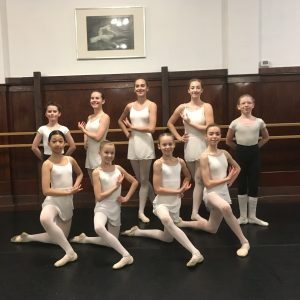 As training has steadily advanced in every class and level each year, and more students are accepted each year into ballet company schools even before joining PPA (see Student Achievements), it became clear that not all of the extra hours were necessary. As of 2019, the half-day academic requirement has been removed. The specialized PPA classes have now been moved into after-school hours. This allows students to prepare for future acceptance to ballet company schools, while attending full-time academic schools and still training primarily with their classmates. Students entering Ballet levels 7-10 may receive an invitation to join the Pre-Professional Academy for their level. 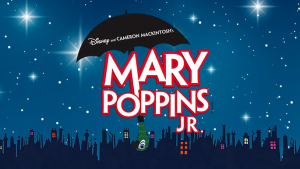 Students new to the school may apply for the Pre-Professional Academy by audition. All PPA students must be enrolled in all classes for their level, in addition to their full set of Academy classes.